Biggest Plant & Garden Sale THIS weekend – 27-28-29 April! 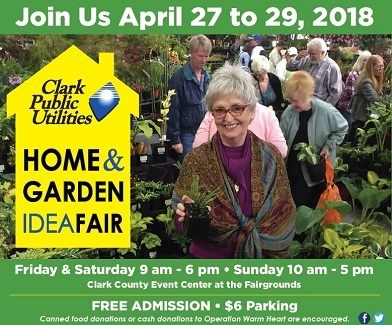 The biggest Home & Garden event in Clark County is today, Saturday and Sunday! Looking for ideas? That perfect plant? FREE ADMISSION! $6 per vehicle parking. April 27, 28 & 29, 2018!